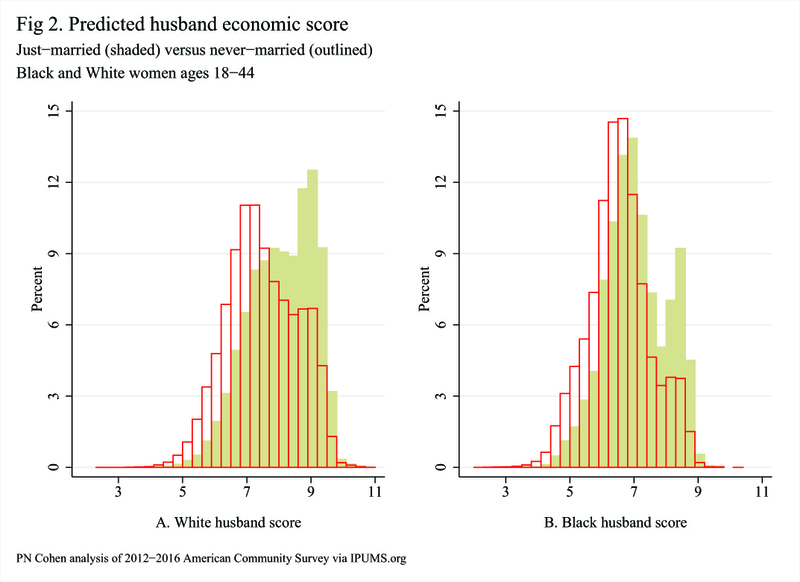 Does it take into the account that married men tend to start working more? Or do you think that the fact that married men earn more is a result of characteristics the men are having already before teh marriage? Why do you exclude women who have already been married? This seems to compromise the validity of what you’re doing, since the question is really if “More marriage will produce better outcomes,” not if “More first marriages will be produce better outcomes.” Or am I missing something? Because it seems to me that, in evaluating whether “More marriages would be better,” we need to especially consider the fact that, presumably, unmarried people presumably are that way, in general, for pretty good reasons. 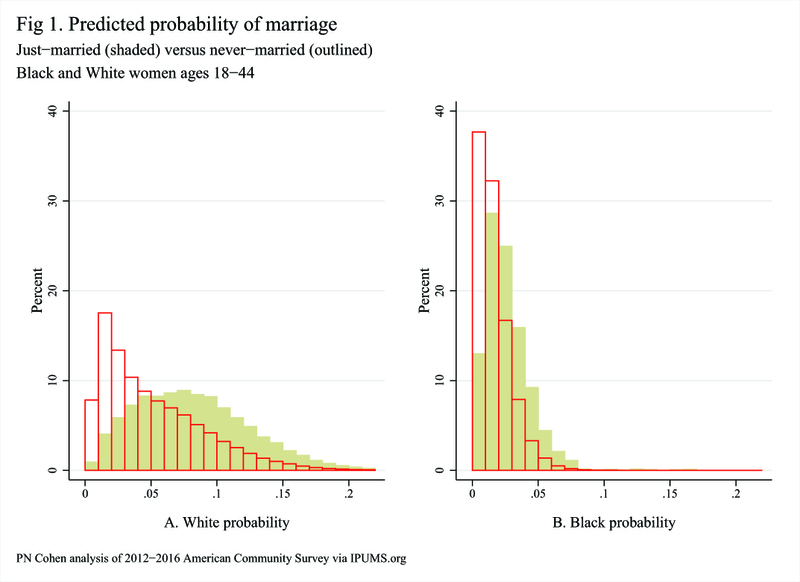 Therefore, it seems likely that marriages generated by the marriage movement are likely to break up substantially more quickly than the average. Excluding women who have already been married, gotten unmarried, and probably gotten wiser as a result seems counterproductive. I would tend to assume that previously married women know their minds; They haven’t married because they can see the problems coming around the corner, unlike their less experienced peers; They choose not to marry since they can see that marrying may not work out for them. So presumably, A) the marriage movement is wasting its time with them, and B) If the marriage movement succeeded, the marriage would be over soon. I imagine that the net benefits of marriage don’t apply to a marriage that lasts less than, say, five or ten years? No reason to tout the benefits of “marriage” unless you’re being more specific, right? What length of marriage starts to be beneficial? Thanks, it’s a good question. The debate I’m responding to really is more about first marriages. This is partly because it’s about the context for childbearing, which is more an issue with first marriage. And also it’s simpler. As you say, the issues are different for subsequent marriages. What you’re describing as important differences are not well capture in this kind of data. Or at least it would be messy to combine first and later marriages in one analysis.